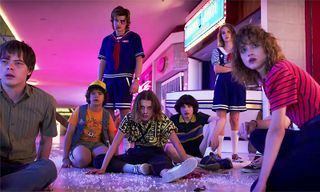 After dropping a number of teasers for Stranger Things season 3, Netflix has just released the first feature length trailer and it delivers a much deeper look at what we can expect in the next installment. 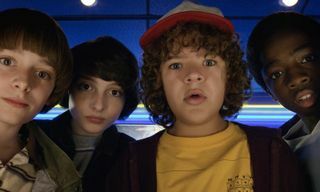 Watch above. 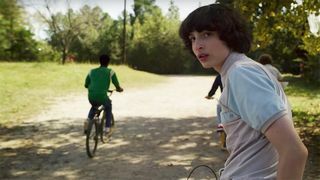 Backed by The Who track “Baba O’Riley,” the trailer shows Eleven, Dustin, Mike, and the rest of the gang reuniting in Hawkins, Indiana, and attempting to move on from the traumatizing events of season 2. 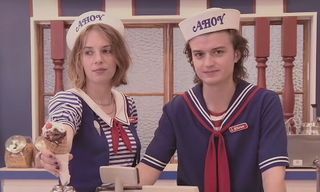 While a lot of the trailer is quite light-hearted – there’s a very eighties neon-color palette going on — of course, things aren’t as bright as they first seem. 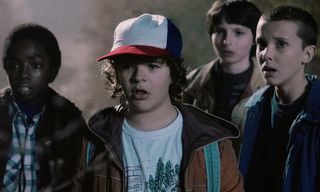 Not only is there a trained killer on the loose carrying a silenced pistol, we’re also given a glimpse at the monster the Upside Down will be launching on the small town this time around, and it looks absolutely terrifying. 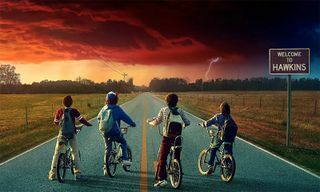 Stranger Things season 3 arrives on Netflix July 4.